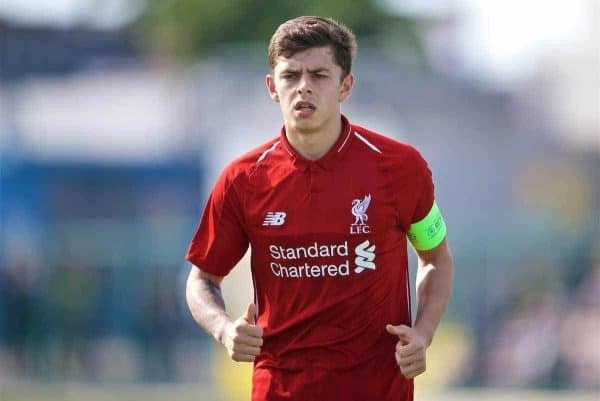 Liverpool youngster Adam Lewis has set his sights high after being included in Jurgen Klopp‘s 30-man squad for the training camp in Marbella this week. Lewis is one of a host of academy players involved as the Reds continue work in Spain, alongside Caoimhin Kelleher, Ki-Jana Hoever, Corey Whelan, Nat Phillips, Rafa Camacho, Curtis Jones, Isaac Christie-Davies, Rhian Brewster and Ben Woodburn. 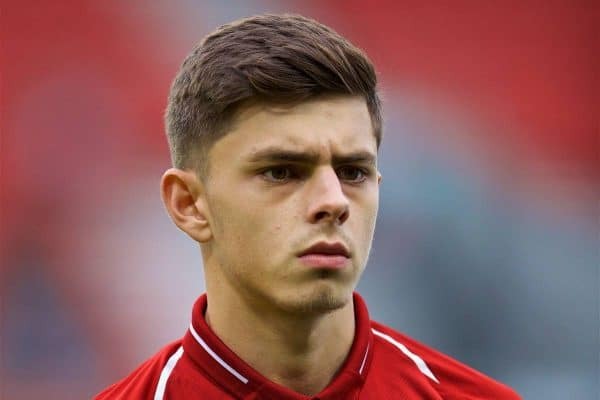 The majority of those already have first-team experience, whether during pre-season, with senior outings or as mainstays at Melwood, but the 19-year-old is yet to break through on a regular basis. 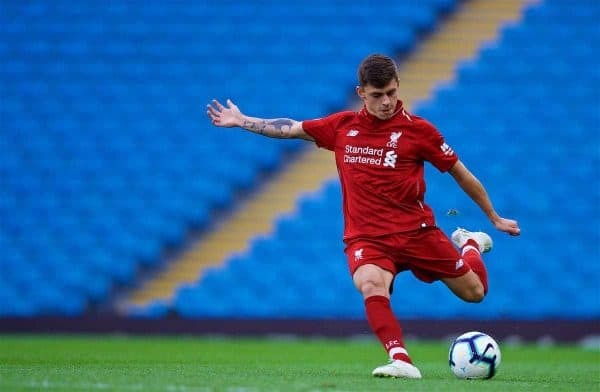 Instead, he is a staple of Liverpool’s U23s side, as well as captain for the U19s in the UEFA Youth League, but his inclusion in the Costa del Sol is inspiring him to push on. Speaking to the club’s official website, Lewis outlined his ambitions to build on this milestone, with a lofty target to aim for before the end of the season. “[My aim is] just to try and get on the bench or maybe in the squad for a Premier League game,” he explained. “Just to keep doing what I’m doing, to be honest. “Everyone knows the manager gives opportunities and you can see it with Ki-Jana obviously coming off the bench [against Wolves] with four minutes gone. There can be sense of youngsters making up the numbers at times in training, particularly with injuries mounting up as Joe Gomez and Dejan Lovren continue their rehabilitation. But for Lewis, there is a very real possibility that he can reach his objectives, though he may need to be more patient than the next three-and-a-half months. Alberto Moreno is set to depart the club on the expiry of his contract at the end of the season, and so far there has been no indication Klopp is in the market for a new backup left-back. Instead, it seems as though Lewis could be given the opportunity to deputise for Andy Robertson—though, given Moreno’s impeccable fitness, that could come next season, rather than this. The Scouser is certainly confident in his abilities, though, as he drew parallels with now and when he was first involved in a warm-weather training camp in 2016. “[I have progressed], 100 percent. I can see it when I’m playing as well—I feel more confident,” he said. “These types of training sessions help me. With the Tenerife one I came back flying and got my pro contract out of it as well. It is unlikely Lewis would be risked in the upcoming months unless truly necessary, with James Milner also available in the left-back role, but he has the ability to step up in the summer.